Web hosting that you can rely on. We take full ownership of your Web Software or WordPress servers with our managed hosting, leaving you run your business instead of your server and software. When choosing a host, it is important to think of exactly what you will need from your web host to make your business run smoothly. We can offer many services with our hosting packages and can tailor make the best solution for your company. Over time we have built up an excellent range of hosting services to offer our clients every need. For more information on what we can offer you or to receive some jargon free advice please feel free to contact us. Reliability in our hosting is paramount to us and we ensure this by using the best services on offer. 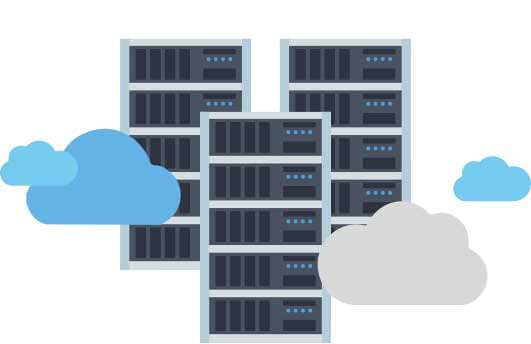 Your hosting is fully scaleable to your company’s growth, as your business grows so can your hosting. We take daily backups of your web files to ensure there is always an up to date restore point available. We provide support to all our customers and can ensure all questions or queries are answered. We can offer this simply because we use only the best quality of hosting servers. – We host many websites from small to large national sites and deliver results at all times. – Most people don’t know what to look for when it comes to hosting but rest assured you can be sure to trust us to host your site efficiently. Don’t take our word for it see our customer testimonials. – We can setup dedicated servers for your site to manage heavy footfall online. – Without a secure server like ours, your site could be vulnerable to online attacks making your online presence damaged. We are focused on giving you, the client a secure, reliable and efficient hosting experience. When we provide our website design services we always recommend to use our hosting services but you do have the option to host elsewhere if you would prefer. For more information on our hosting and maintenance packages please do feel free to contact us and we will be happy to help and discuss the best solutions to suit you.